In the past, there just weren’t any options for homeowners who wanted a smart thermostat but who also had baseboard heat. The reason for that is that these types of heaters operate off of 220 volt systems, instead of the 24 volt systems that are used by central heating systems in houses today. The smart thermostats weren’t able to handle the higher voltage, so they couldn’t regulate what the baseboard heater was doing. Additionally, the security system options and home automation options that came with these thermostats were often not something that could be used with baseboard heat at all — so homeowners were completely out of luck. 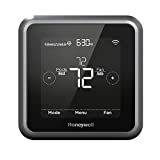 Fortunately, there are now options, although they’re very limited, for smart thermostats that can work with baseboard heat in some cases. The heaters have to be hooked together and wired for a thermostat. They can’t be separate with only the individual dials on each one of them offering control. But for baseboard heat systems that operate off of a central thermostat, there is now the option to use Rise, which can provide a homeowner with the option to control their baseboard heaters using smart technology. It’s the first of its kind to do this, and really the only option that most homeowners have other than Cadet, unless they’re extremely tech savvy and can build something that works for their specific situation. Because of the strength of the electrical voltage these heaters have, homeowners haven’t had any options. 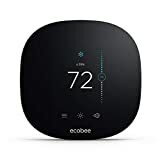 But now Cadet and a few other companies are starting to explain how smart thermostats can be used with baseboard heaters and wall heaters. While the technology is limited and still somewhat imperfect, it’s a step closer to having the opportunity to use these types of technological advances with older styles of heating systems. In some parts of the country where air conditioning is generally not needed and there are many older homes, having baseboard heat is extremely common. Homeowners in these areas have long been frustrated over their lack of options, so it’s important for them to get more choices and be able to focus on a higher level of home automation, security, and value. What Will the Future Hold for More Options? With security system options and home automation choices continuing to develop and advance, the future is looking bright for more companies to add smart thermostats that can work with baseboard heaters. In the past this wasn’t even a consideration, but now there are a couple of choices to pick from — and there will be more on the horizon very soon. 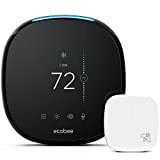 Companies have seen that there is a market for smart thermostats that can control baseboard heat, so they will work on developing these and continue to make them as long as there is a consumer demand for the product. If they can get all of this, along with a smart thermostat that will control their baseboard heaters, they’ll be able to enjoy a higher level of peace of mind, convenience, and comfort. That can make them feel good about their house, and help them appreciate all that technology can offer.